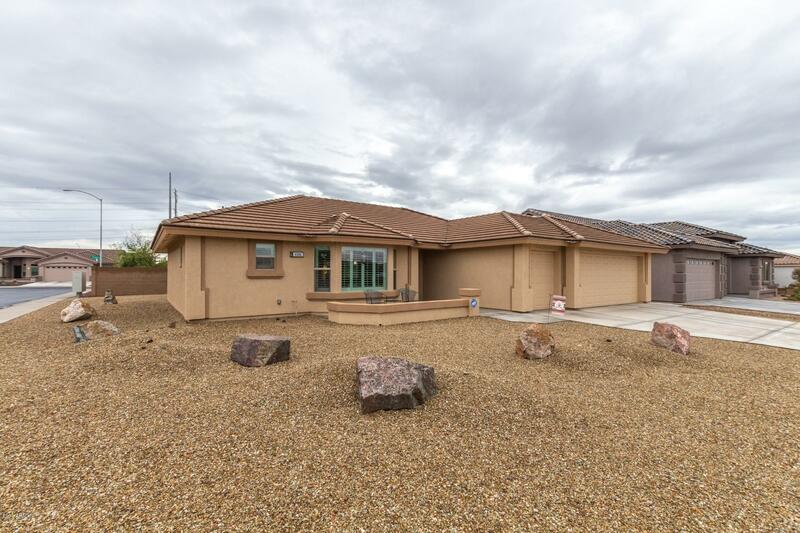 Stunning home on corner lot and full of upgrades! 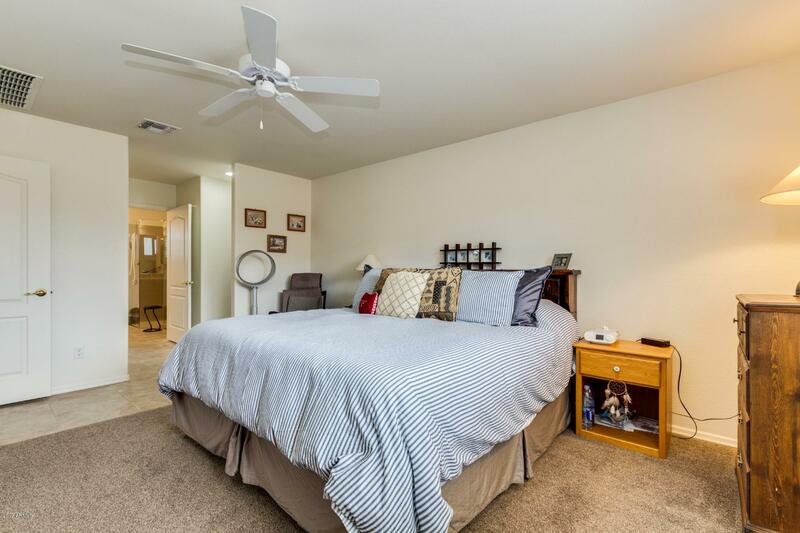 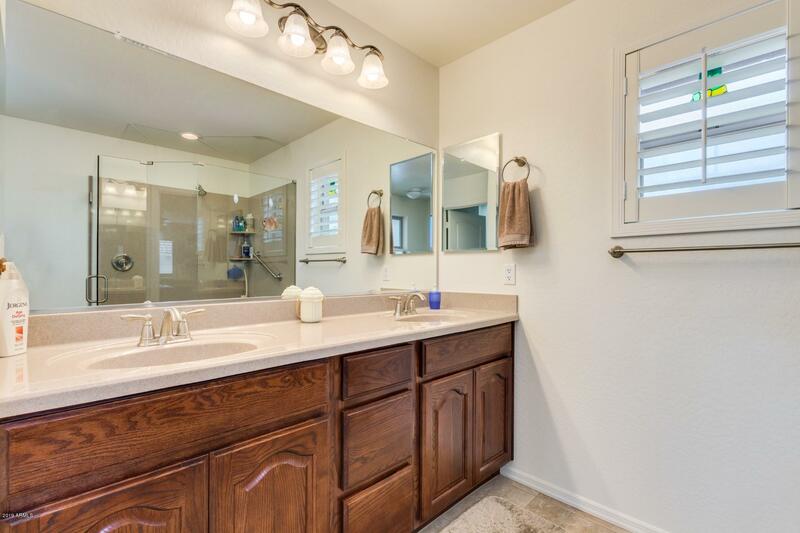 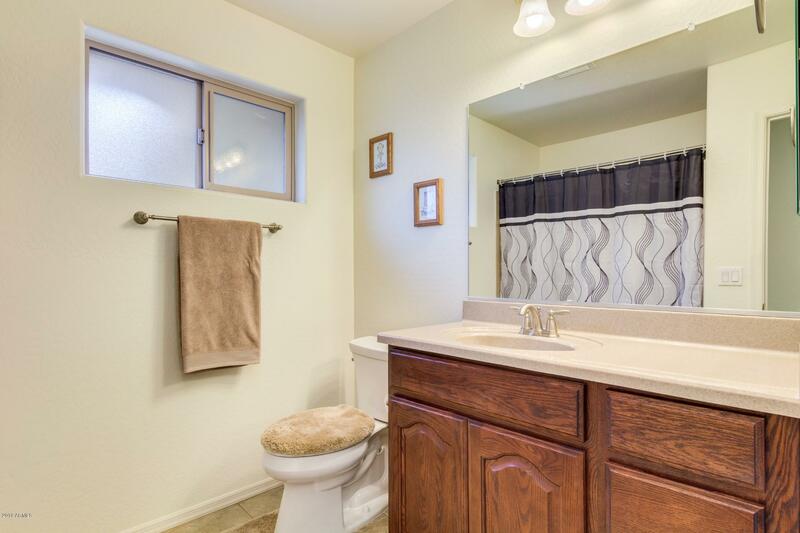 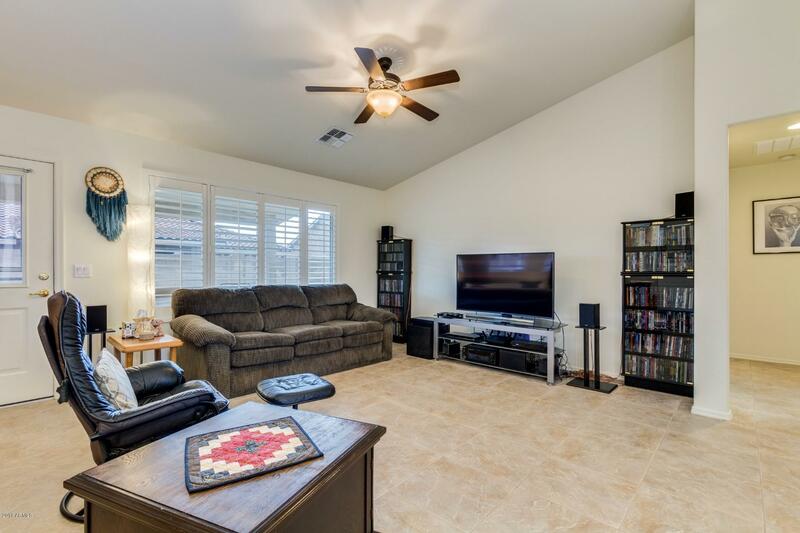 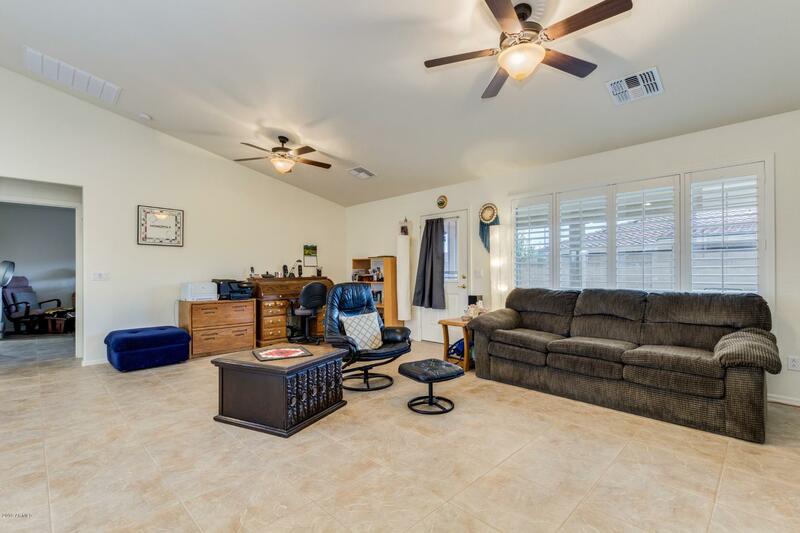 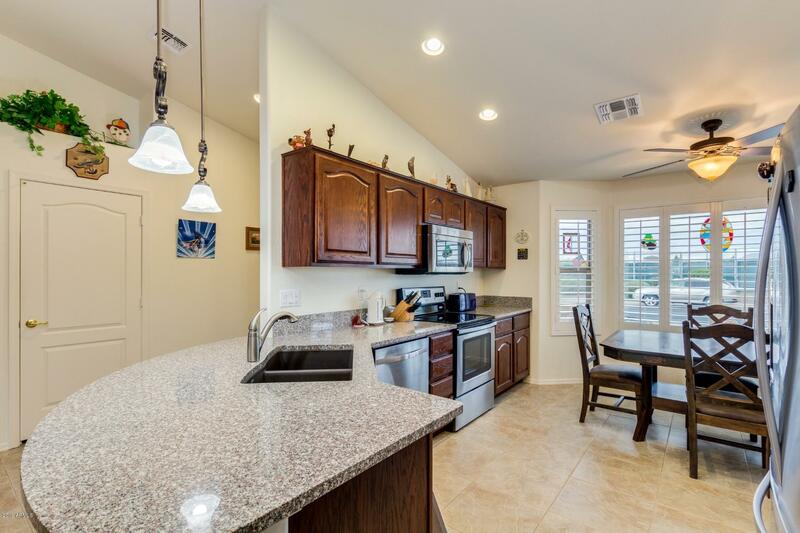 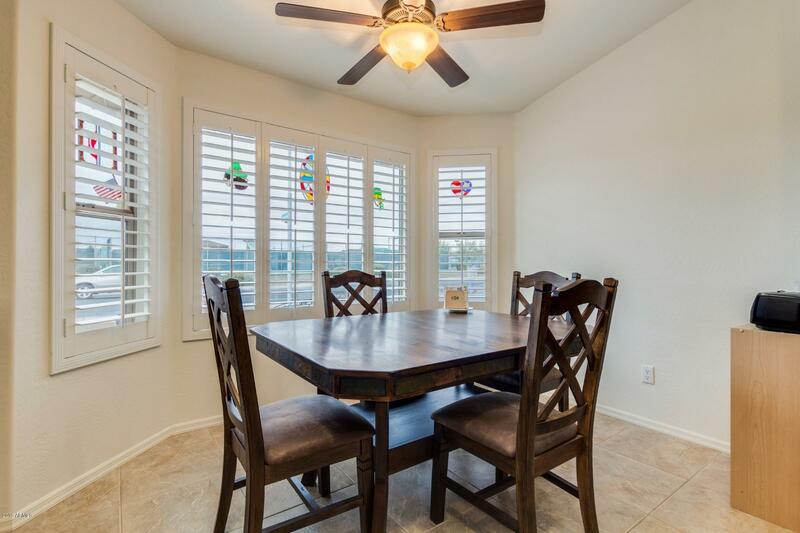 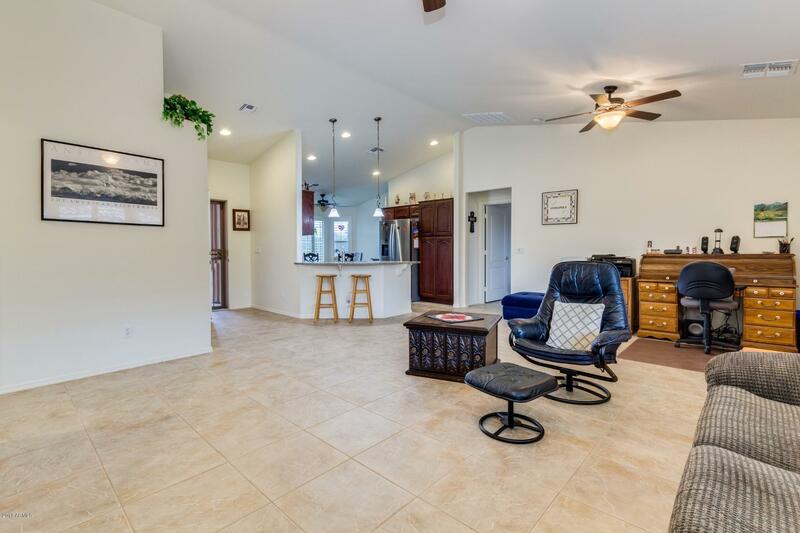 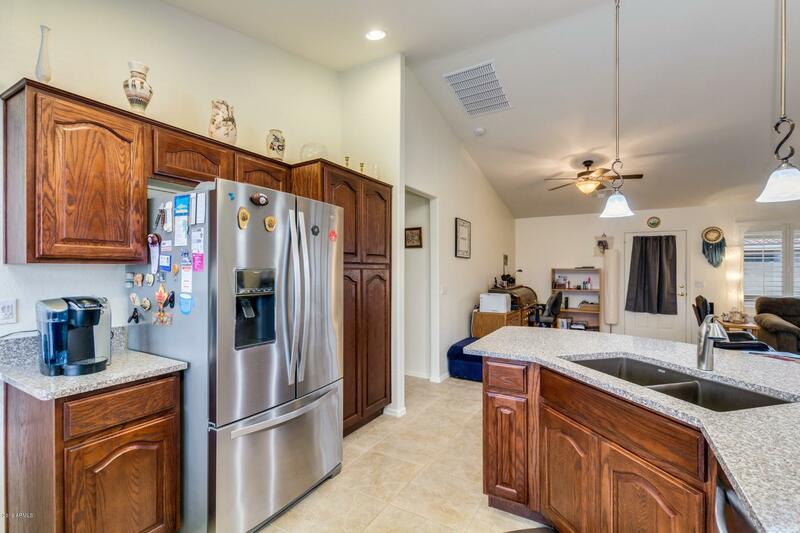 This ranch style home boasts beautiful tiled floors, vaulted ceilings and neutral palette. 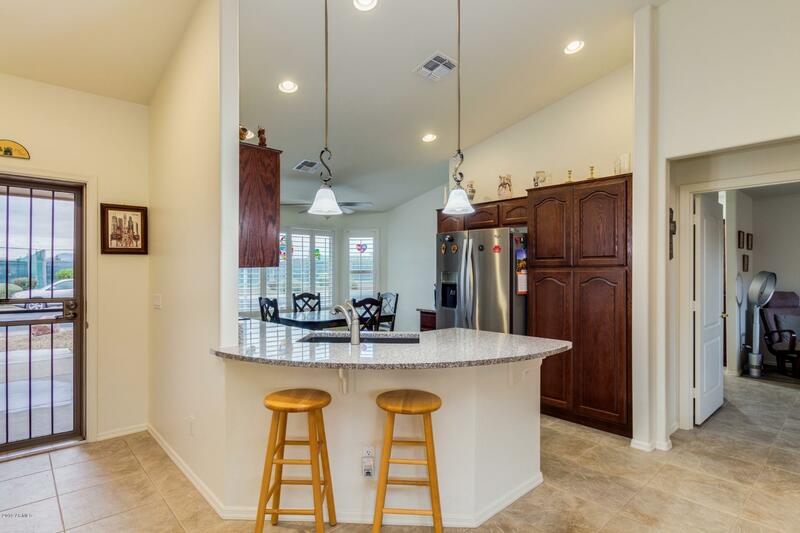 The kitchen is complete with a granite breakfast bar, dining area and stainless steel appliances. 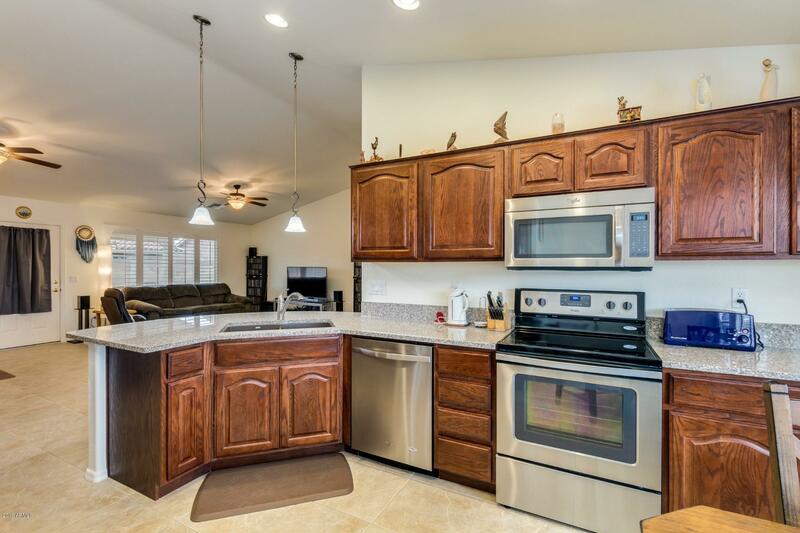 Dark rich cabinetry add the finishing touch! 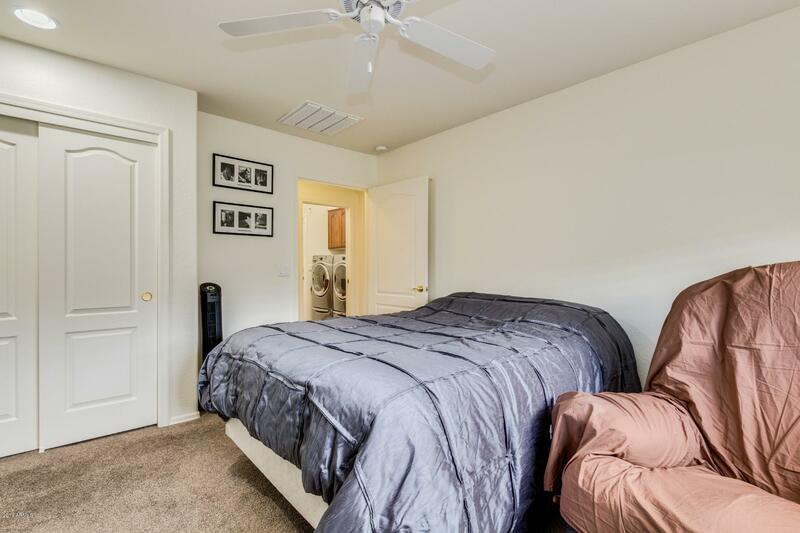 The spacious master suite hosts an ensuite of double sinks and shower. 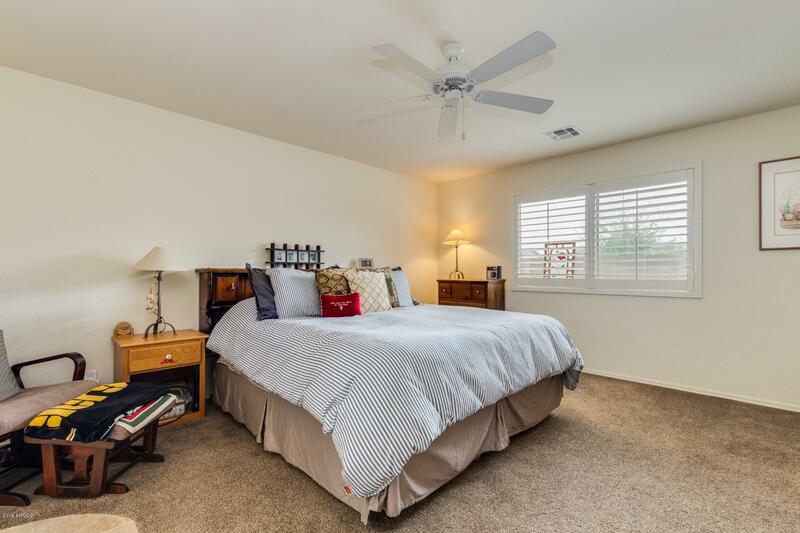 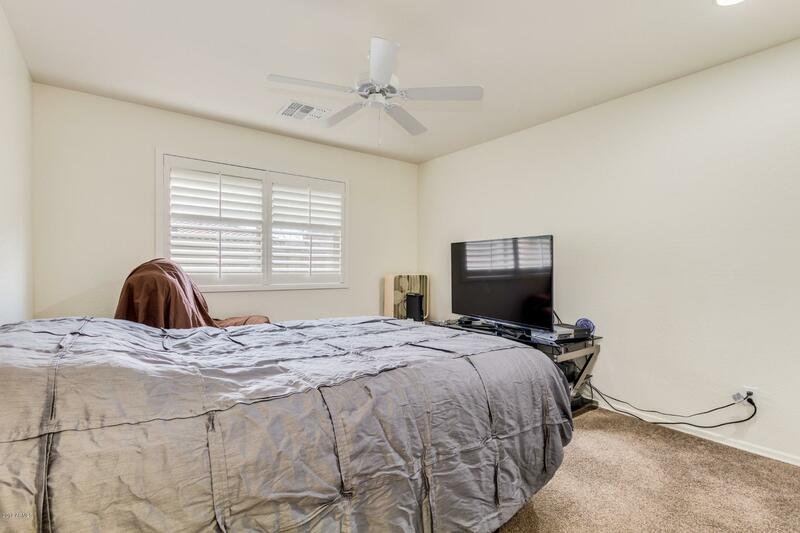 Additional bedrooms are also generously sized. 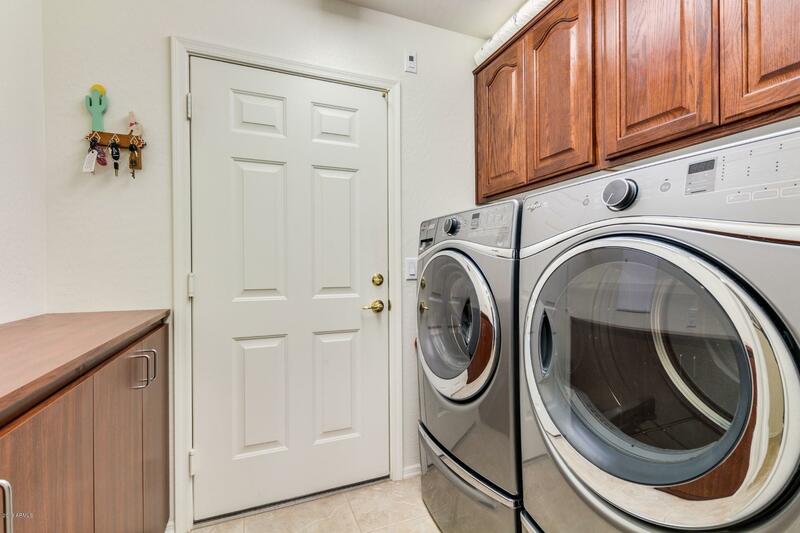 This laundry room is fully equipped with cabinets and countertops! 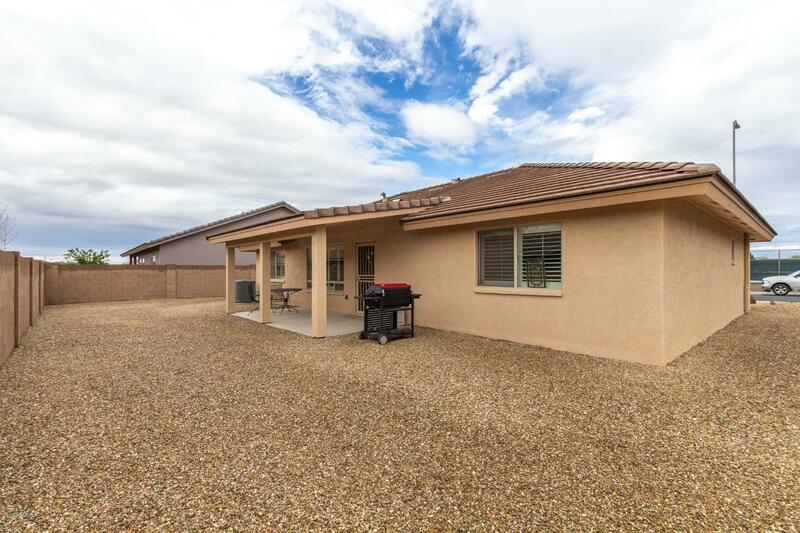 Step out on to the covered patio and take in this no maintenance backyard. 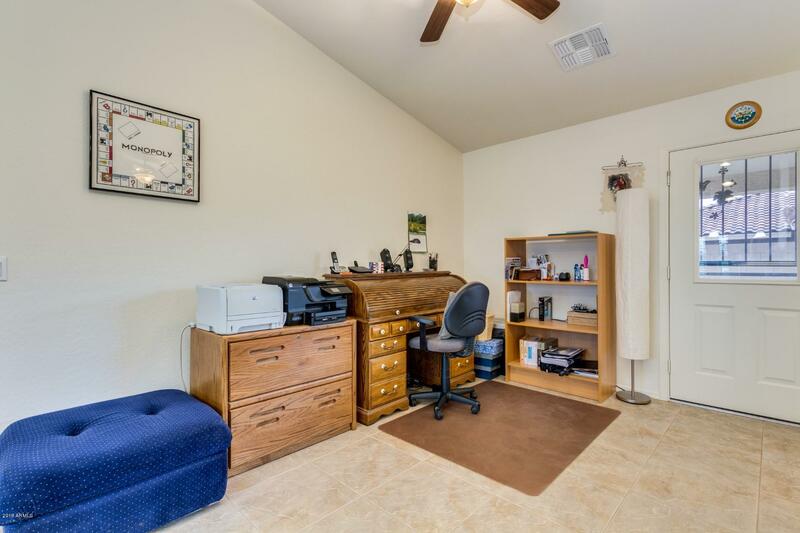 Leave it as is or create your own oasis in the desert! 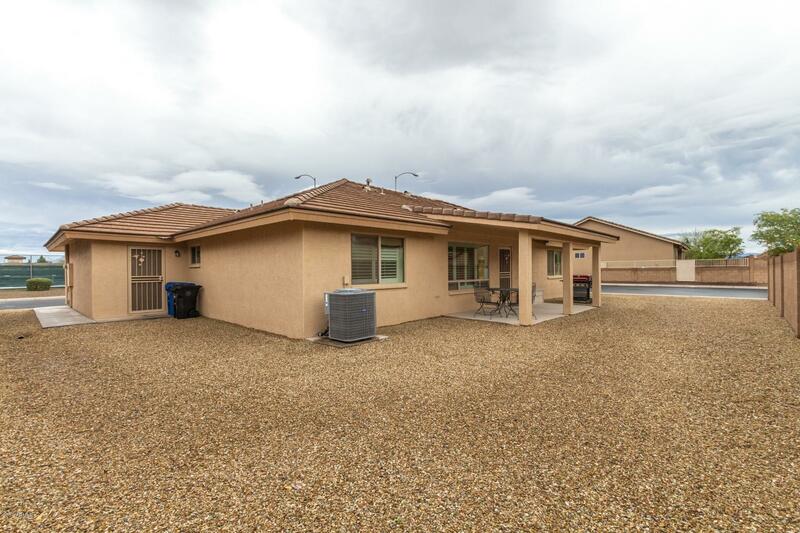 This lot is large and has ample space to fulfill your landscaping dreams! 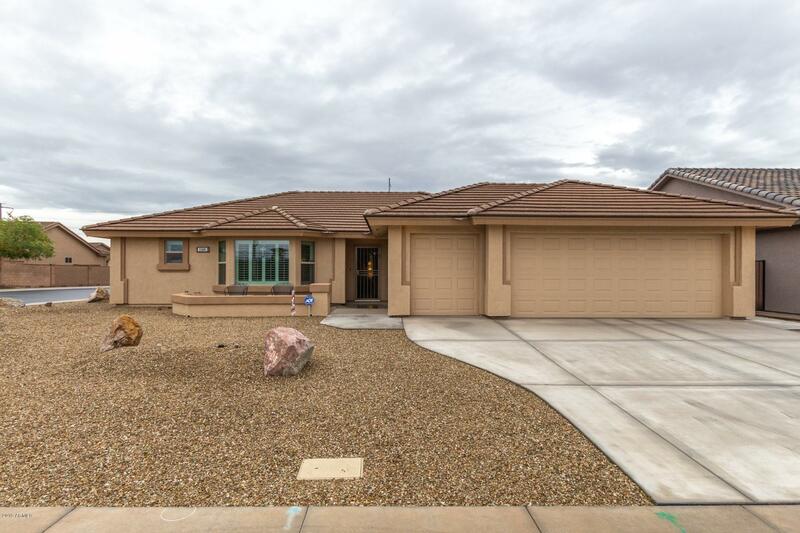 Put this on your list to see today - priced to sell it will not last!